In the pantheons of great horror movie performances, Jeff Goldblum’s turn as eccentric scientist turned mutant fly ranks high. 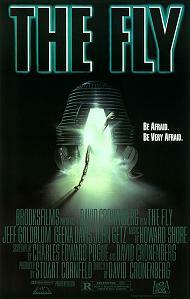 It is one of many reasons why David Cronenberg’s remake of the 1958 sci-fi classic The Fly remains one of the best do-overs since its release over 20 years ago, the Scanners filmmaker infusing his penchant for body horror with a tragic love story between Goldblum and then real life squeeze Geena Davis. 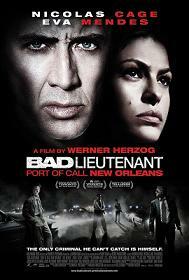 Granted, Bad Lieutenant: Port of Call New Orleans is not a straight forward remake of the Abel Ferrara cult classic. But while the hard hitting tone and unbashful Catholic guilt of the original has been removed, this Bad Lieutenant is still a bad cop gone worse thriller that owes much to its originator. What makes this film a totally different monster is Werner Herzog’s whacked out, yet on mark directing, guiding Nicolas Cage to one of his best performances in years as a cop on the edge with a smile on his face and crack pipe in his hand. There’s was a union that was a long time coming, with hopefully more collaborations in the future. Dancing souls and iguana’s feature in what has to be one of the more original remakes seen. 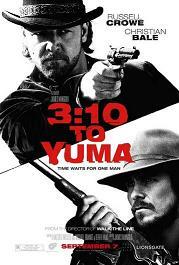 3:10 to Yuma was not only one of the movies which rejuvenated the western, but it also stands as a remake of the highest exception, pitting super thesps Christian Bale and Russell Crowe in a battle of wills and gunfire. Yet stealing the movie from under their boots was Ben Foster, who gives a chilling (and overlooked) turn as Crowe’s dedicated right hand man, hellbent on breaking Crowe’s brutal outlaw from the clutches of the law. James Mangold (Walk the Line) mixes thrills and action into a potent and innovative update of 1957 Glen Ford / Van Heflin original (both based on Elmore Leonard’s short story). Leone does Kurasawa and Clint Eastwood becomes a star in A Fistful of Dollars, the unofficial remake of the 1961 classic Yojimbo. 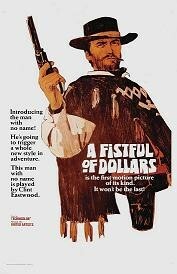 Although not the first spaghetti western (the 1961 feature Savage Guns has claimed that title), A Fistful of Dollars breakthrough internationally and was hailed as an original, despite it being a shameless redo of a film released three years prior. Another western, and another remake of a Akira Kurasowa classic. 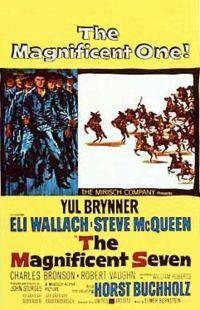 This time it was Seven Samurai which gets the cowboy treatment, and from it another classic was born in The Magnificent Seven, the John Sturges (The Great Escape) helmed western which saw Yul Brynner lead a group of gunslingers against a ruthless outlaw (Eli Wallach). The likes of Charles Bronson, James Coburn, and a scene stealing Steve McQueen were amongst the packed cast. Several sequels would follow, but none would match the first. 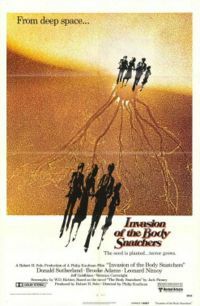 Phillip Kaufman’s (The Right Stuff) remake of the 1956 sci-fi thriller Invasion of the Body Snatchers effectively tapped into the paranoia of late ‘70s America, and converged it with a chilling story of aliens tacking over the human race one person at a time. Donald Sutherland led a cast of sci-fi genre stalwarts which included Jeff Goldblum, Veronica Cartwright, and Leonard Nimoy (perfect stunt casting), with all turning in solid performances. The lethal trio of Al Pacino, Oliver Stone, and Brian De Palma combined to remake the 1932 Howard Hawkes classic Scarface, and created a standalone film which ranks high in the pantheon of the great American gangster movie. Stone’s masterstroke of changing the films protagonist from Italian wiseguy to Cuban exile brought with it an unforgettable turn by Pacino as the coke sniffing, f-bomb dropping Tony Montana, and the chance for De Palma to hover his forever moving camera over the visual tapestry which was Miami in the 1980s. 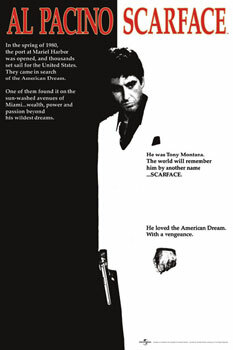 Scarface would go on to become an influential film in both the movie and music worlds, with Tony Montana a mascot in the excess heavy hip-hop industry. Horror legend John Carpenter’s best movie was his remake of the 1958 sci-hi/horror hybrid The Thing from Another World (both were based on the short story Who Goes There? 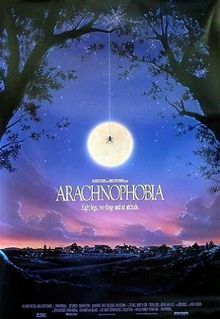 by John W. Campbell Jr), an unforgettably scary and well acted classic which featured an innovative use of special make up effects by Rob Bottin (The Howling). Starring long time leading man Kurt Russell, the film focused on a group of military scientists who must contend with a shape shifting alien being, while stuck in the Antarctic with no contact to the outside world. 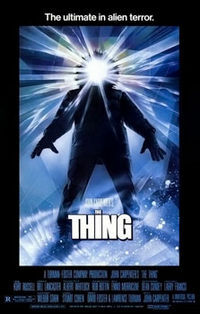 Bloody and eerie, The Thing worked as both uncompromising horror and intelligent thriller. Another remake is in production. Good luck to ‘em! 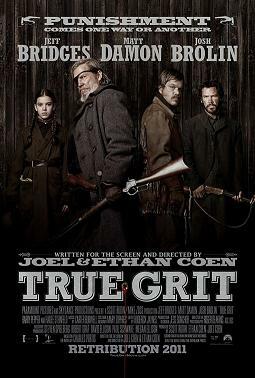 The original True Grit was released in 1969 and won the immortal John Wayne his first and only Oscar as grizzled U.S. Marshall Rooster Cogburn. 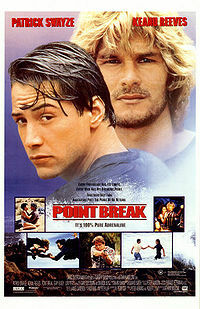 Yet many felt that this adaptation of Charles Portis’ novel could have been done better. Among them were the ever cool Coen Brothers, who put opinion into action and remade a beloved western for a new generation. Cast as Cogburn was the Dude himself, Jeff Bridges, whose no nonsense demeanour and grizzled grunts gave the famed character new dimension (and a need for subtitles). Joining him were Matt Damon, Josh Brolin and Barry Pepper, yet it was newcomer Hailee Steindfelf who stole the show as tenacious teen who is determined to revenge the death of her father. That Infernal Affairs is one of the great crime movies gives proof to how special its 2006 remake The Departed really is. 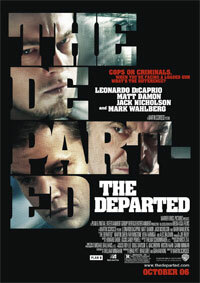 Helmed by Martin Scorsese (his first Oscar win), The Departed took its 2002 originator and improved upon it in every aspect, with special mention to its performances and screenplay. Much of its success comes from William Monaghan’s cracking script, which took the cat and mouse story between a mole in the police department (Matt Damon) and an undercover cop deep in the mob (Leonardo DiCaprio) and infused it with an energetic pace, an underlying sense of the tragic, and a theological weight towards its slippery morality within the cops ‘n’ crims lifestyle of its Irish-Boston environment.